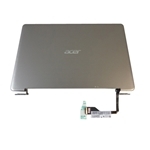 New Acer Aspire S3-391 S3-951 MS2346 Laptop Lcd Screen Assembly 13.3"
Home → Laptop Screens → Acer Aspire S3-391 S3-951 MS2346 Laptop Lcd Screen Assembly 13.3"
Acer Aspire S3-391 S3-951 MS2346 Laptop Lcd Screen Assembly 13.3"
Description: New genuine Acer lcd module, 13.3". This part does not have a touchscreen. 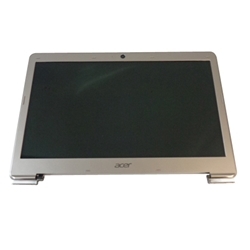 The module is made up of the screen, lcd bezel, lcd back cover, webcam, lcd cable and hinges. 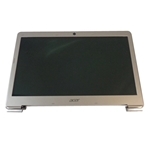 Acer Aspire S3-391, S3-951, MS2346.